New Justride Capabilities Mean Passengers No Longer Need to Buy a Ticket Before Traveling. ATLANTA & NEW YORK. - October 9th, 2017 -- Masabi, the leader in innovative transit ticketing and fare collection, today unveiled Account-Based Ticketing (ABT) capabilities for the Justride Platform at the APTA Expo 2017 in Atlanta. This new development means riders no longer need to buy a ticket before boarding, they simply tap using stored value from their cloud-based Justride account, paying for their journey after it has taken place at the best possible fare. 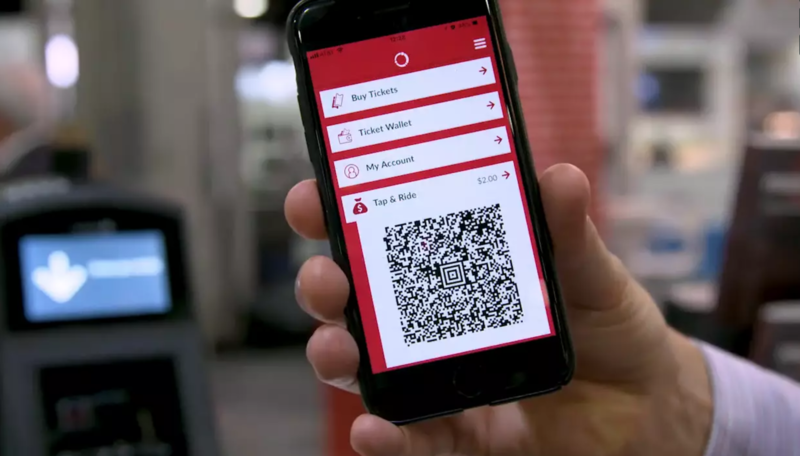 As well as mobile barcode tickets, the multi-format platform facilitates the use of a variety of fare media, including; contactless payment cards, smartcards, digital wallets and more. Because the system is run from the Justride cloud-based back office, tokens such as mobile barcodes and smartcards can be linked together creating a seamless experience using either media type for travel. The new system can operate a full range of fare models including; flat, time-based, distance and zonal based fares. The flexible architecture enables a mix of fare types as well as pre-pay and account-based tickets. The system also enables transfer rules when moving between modes of transit, such as offering free or discounted bus journeys after you complete your subway trip. The system is fully configurable in real-time providing maximum flexibility to agencies. Once deployed, other transportation modes, urban mobility providers and connecting services can be added, supporting a MaaS offering for a city with the public transit agency at its core. This enables agencies to start to deliver true first/last mile experiences for all passengers linked to their transit system. Because Justride is a Software-as-a-Service offering, Account-Based Ticketing can be enabled for all Justride customers who have rolled-out Justride Inspect, Masabi’s ticket validation service, enabling them to deliver the benefits of ABT quickly and cost-effectively. For a Live Demo at the APTA Expo 2017 please visit the Masabi Booth #3333 in hall B.